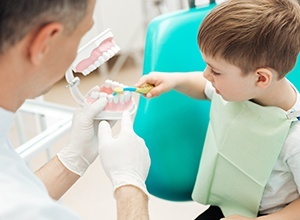 Is it time for your child to visit the dentist for the first time? Are their teeth starting to come in and you just want to make sure everything is alright? If so, you’re on the right track! According to the American Academy of Pediatric Dentistry, children should start seeing a dentist within 6 months of their first tooth erupting or by their first birthday. 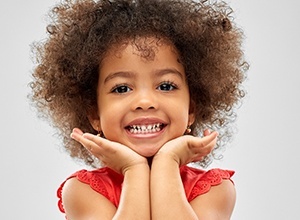 When you bring your child to Meriden Dental Group, our dentists and team will make sure their teeth and jaw are developing correctly, and we’ll help teach them about how to take care of their new smile. After that, we’ll start seeing them every 6 months so we can make sure their smile stays strong as they grow. To learn about all the services we can provide your child, simply read on below. Even before your baby has any teeth, oral healthcare is important. Our doctors recommend gently cleaning those delicate gums with a soft washcloth moistened with warm water after each feeding. When their first tooth shows up, it’s time to start brushing. Use a small, soft-bristled brush and some water—stay away from toothpaste until your child is two or three and knows how to spit. The American Academy of Pediatric Dentistry recommends that your child see the dentist by the time they are one year old. This may seem rather young, but at this stage of their oral and dental development, we are able to spot concerns early and can treat them as necessary. We have two goals at their first visit. First, we want to clean, count and examine their teeth, and secondly, we want to ensure that they have a good time in our office. Really, we do! If we can inject a bit of fun into their appointments, then we can help them start off on the right road to a lifetime of consistent oral healthcare. During a pediatric dental examination, your doctor will look for many of the same problems that adults have. Tooth decay is one of the most common dental concerns that we see among our young patients. 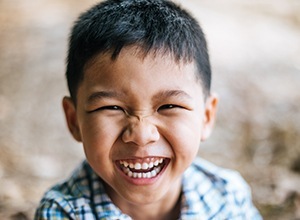 If we do find a cavity during one of your child’s checkups, one of our dentists can place a tooth-colored filling that will repair it and keep that smile white and beautiful. Did you know that most tooth decay in children and teens occurs in the grooves of the back teeth? These areas can be difficult to brush because of their position in the mouth. Thankfully, our team can offer an effective solution for patients of all ages. Applied as a liquid plastic to your child’s molars, sealants harden to a solid in a matter of minutes under a curing light. We find that sealants are particularly helpful for protecting children’s teeth from decay while they are still learning to brush. Fluoride is a natural mineral that strengthens tooth enamel and even helps remineralize enamel that has been lost. For this treatment, comfortable mouth trays will be filled with fluoride and placed over your child’s teeth. They’ll be left on for just a minute, and the benefits can last for months. Sports are fantastic for helping kids learn and develop, but even non-contact ones put their teeth at great risk. Some of the most common sports injuries are actually dental injuries! 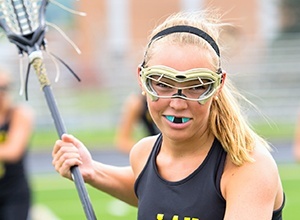 To help protect their smile and give you one less thing to worry about, we can make them a customized mouthguard. These mouthguards provide a layer of extra cushion to protect their teeth and gums from impacts. Also, since our mouthguards are made for each patient, they’ll be much more comfortable AND effective compared to anything you can buy in the store. We are equipped to perform a minor surgical procedure called a frenectomy. It is used to eliminate a tight or thick frenulum, which is a small piece of tissue that can restrict the movement of a child’s lips or tongue. This can cause multiple developmental problems and even hamper their breathing. The procedure is quick, painless, and the results can usually be felt instantly. 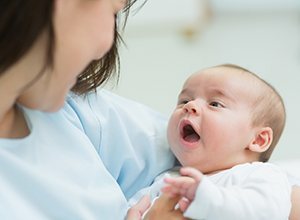 If your child is having trouble speaking, breathing, or feeding (especially breastfeeding), it may be because of a non-functional frenulum. Contact Meriden Dental Group today to schedule an appointment for your son or daughter.